Nam Xanh Joint Stock Company was incorporated in 2010 and specializing in natural food products in Vietnam. Having kept the constant creativity and sustainable development, we have moved on forward our long-term vision to become a leading natural product manufacturer and distributor in Vietnam while internationally building the Vietnam brand of Nam Xanh, promoting the mind and proud of Vietnamese people and the harmony of “Man & Nature”. All Nam Xanh products go through a stringent production process from selection of raw materials, processing to packaging to ensure that our environment-friendly and artificial flavor and coloring-free products have the best and top quality using no preservatives and food additives. Products of Nam Xanh always remain and present natural colors and flavors. 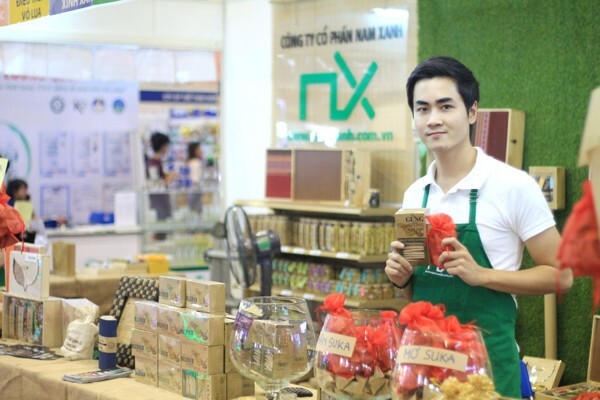 In addition to our commitment to the excellence, Nam Xanh products are always “one in a million”, being inspired by the high creativity of the Nam Xanh carrying with cultural messages towards the attitude and love of the Nature by Vietnamese people. Partner: Co-operation and mutual development are highly appreciated and upheld by Nam Xanh with commitment to become your “Number One Partner”. Employees: A strong sense of esprit de corps remains always being promoted at Nam Xanh. Thus, we facilitate employees to work in a dynamic, creative and innovative working environment with the meritocracy policy allowing them to have equal opportunity to progress and grow with us. Community: Having been aware of our responsibility for community and consent of environmental protection and nature preservation, we have maintained the harmony of interests between our business development and social benefits. Prestige: customers are the center that requires ready and well-prepared qualifications and the best efforts to make by the Nam Xanh at any times to satisfy the customers as committed. Heart: taking the heart as a strong background, all employees always keep it in mind to work and live better and help promote the morality. Mind: considering the creativity as vitality, leverage of development, with the attitude of Dare to dream – Dare to do, Nam Xanh build and keep moving on our own corporate path where appreciating continuous learning and study by the Management, employees and the whole team who are willing to admit mistakes for correction. Humanity: based on the humanity and respectability of employees as they are the most valuables, Nam Xanh are building excellent relationships and appreciate all our friendly employees who live and work in concord with creativity and anthusiasm in the highly united Nam Xanh.